There is no doubt the gorgeous sisters that make up acoustic soul/folk duo, Daughters of Davis, have the talent, determination and inspirational attitude to make their dreams come true. The whole evening at The Barley Mow was one to remember for many years to come. An evening that weaved a musical spell over it’s audience with support from Ben Farrant – whose guitar skills were ridiculously complicated and stunning, Jonny Bell – who warmed the room with his homely folk music and Rob Warman – whose relaxed conversational acoustic set and powerful emotive vocal range served as a delicious hors d’oeuvre. A perfect moment for the M27s to step in with a light-hearted cover set that got the room moving and salivating for the final climax of the evening, Daughters of Davis. The duo were in the middle of their own spontaneous UK tour in their VW camper, but appeared as beautifully fresh and calm as a pair who had slept in a 5 star hotel. Fern Davis was on lead vocal and her sister, Adrienne Davis rocking her acoustic guitar while taking the reigns for the vocal sporadically throughout. 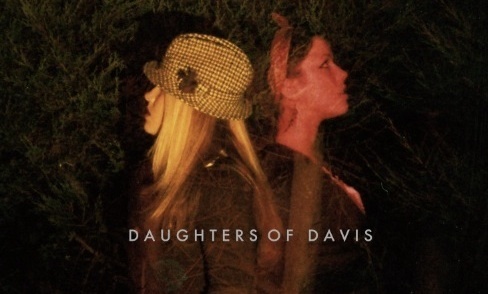 Daughters of Davis harmonised their vocals in a way that would revive drifting spirits and any lost souls for miles. An experience elevated by their natural affinity to music, modest attitude and compelling passion to share it with the world. Once the pub lights were out, the afterparty at Jonny Bell’s house around the corner commenced. A night of guitar grabbing acoustic mash-ups by those who could play, sing-alongs from anyone that couldn’t and random mattress jumping from those that just felt like it! Daughters of Davis also treated us to more of their material with vocals that pierced through our drunken hearts like cupids dart. A room full of musical minds coming together and a moment that has earned a prime spot in my own personal ‘best memories’ mind album. Snippets of which were captured by Daughters of Davis on video and available on their own personal blog on Facebook (www.facebook.com/daughtersofdavis). Sisters, Fern and Adrienne, are both enchanting performers with a true affinity and family connection that is inspiring and enjoyable to watch. Daughters of Davis are a scrumptious find and a magical entity of musical talent just waiting for their inevitable moment in the spotlight.